Junko Ono Rothwell received her art degree from Okayama University in Japan. After graduating, she came to the United States and took art classes at Cornell University. She has had numerous one person and group shows. Also, she has shown in selected National Exhibitions including the American Artists Professional League National Exhibition and the Pastel Society of America in New York and the Pastel Society of Japan in Tokyo. She has received many awards including The Dianne B. Berhard Award in Pastel, American Artists Professional League, NY, and the Faber Castell Design Award and the Pastel Society of America Plaque. Her works have been purchased by the State of Georgia and many corporations including the Southern Company, Continental Telephone, Kaiser Permanente, Prime Bank, Nations Bank, George Washington University Hospital in Washington, D.C., and the Northwest Memorial Hospital in Chicago. JUNKO ONO ROTHWELL Biography Junko Ono Rothwell received her art degree from Okayama University in Japan. After graduating, she came to the United States and took art classes at Cornell University. She has had numerous one person and group shows. Also, she has shown in selected National Exhibitions including the American Artists Professional League National Exhibition and the Pastel Society of America in New York and the Pastel Society of Japan in Tokyo. 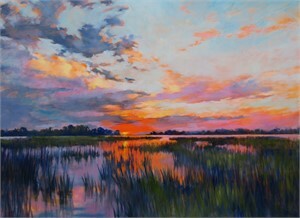 She has received many awards including The Dianne B. Berhard Award in Pastel, American Artists Professional League, NY, and the Faber Castell Design Award and the Pastel Society of America Plaque. Her works have been purchased by the State of Georgia and many corporations including the Southern Company, Continental Telephone, Kaiser Permanente, Prime Bank, Nations Bank, George Washington University Hospital in Washington, D.C., and the Northwest Memorial Hospital in Chicago. 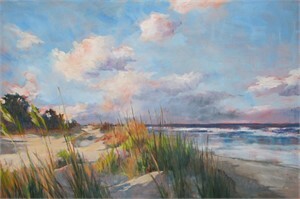 She is a Master Pastelist of the Pastel Society of America. 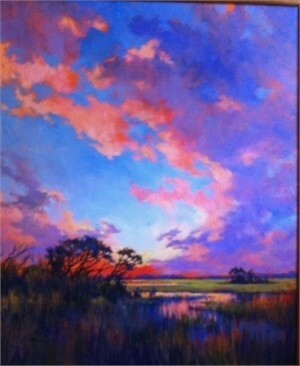 She is also a member of excellence of the Atlanta Artists Club and the Southeastern Pastel Society, and a Fellow of the American Artist Professional League, New York, and a member of the Pastel Society of Japan.